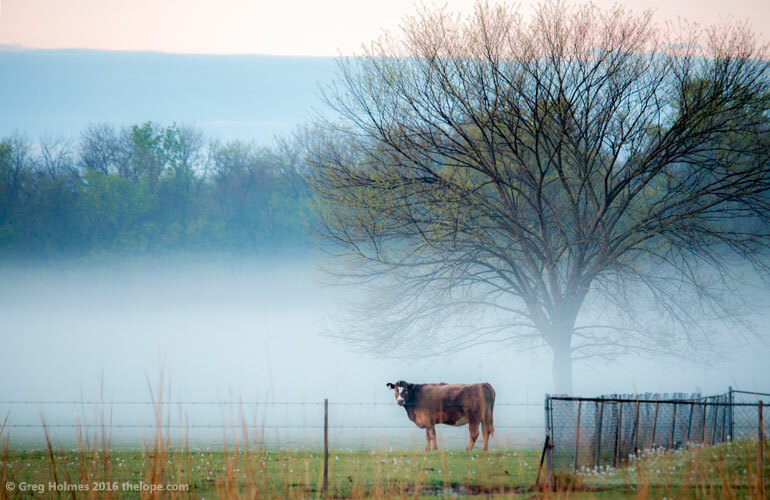 I was driving Kansas hwy 400 in a predawn fog when the sun started trying to peek over the horizon. The tree was cool. The cow was a bonus. 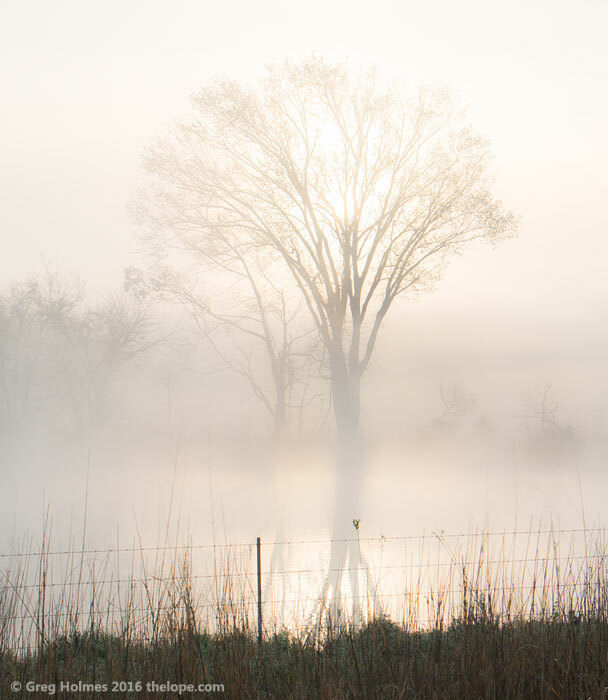 Fog from a pond near Neodesha, Kansas, almost cloaks a tree.